Definition at line 43 of file MapBuilder.cc. Definition at line 118 of file MapBuilder.h. Definition at line 638 of file MapBuilder.cc. Definition at line 854 of file MapBuilder.cc. Definition at line 325 of file MapBuilder.cc. Definition at line 261 of file MapBuilder.cc. Definition at line 249 of file MapBuilder.cc. Definition at line 174 of file MapBuilder.cc. Definition at line 351 of file MapBuilder.cc. Definition at line 95 of file MapBuilder.cc. Definition at line 101 of file MapBuilder.cc. Definition at line 115 of file MapBuilder.cc. Definition at line 407 of file MapBuilder.cc. Definition at line 420 of file MapBuilder.cc. Definition at line 569 of file MapBuilder.cc. Definition at line 137 of file MapBuilder.h. Definition at line 1262 of file MapBuilder.cc. Definition at line 1136 of file MapBuilder.cc. Definition at line 1060 of file MapBuilder.cc. Definition at line 998 of file MapBuilder.cc. Definition at line 949 of file MapBuilder.cc. Definition at line 970 of file MapBuilder.cc. Definition at line 1192 of file MapBuilder.cc. Definition at line 1017 of file MapBuilder.cc. Definition at line 1223 of file MapBuilder.cc. Definition at line 1043 of file MapBuilder.cc. Definition at line 1156 of file MapBuilder.cc. Definition at line 1076 of file MapBuilder.cc. Definition at line 143 of file MapBuilder.h. Definition at line 375 of file MapBuilder.cc. Definition at line 491 of file MapBuilder.cc. Definition at line 485 of file MapBuilder.cc. Definition at line 267 of file MapBuilder.h. Definition at line 497 of file MapBuilder.cc. Definition at line 357 of file MapBuilder.cc. Definition at line 513 of file MapBuilder.cc. Definition at line 503 of file MapBuilder.cc. Definition at line 549 of file MapBuilder.cc. Definition at line 683 of file MapBuilder.cc. Definition at line 475 of file MapBuilder.cc. Definition at line 335 of file MapBuilder.cc. Definition at line 1251 of file MapBuilder.cc. Definition at line 59 of file MapBuilder.cc. Definition at line 921 of file MapBuilder.cc. Definition at line 214 of file MapBuilder.cc. Definition at line 664 of file MapBuilder.cc. Definition at line 668 of file MapBuilder.cc. 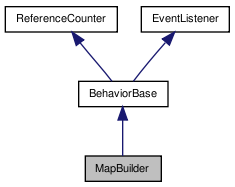 Definition at line 901 of file MapBuilder.cc. Definition at line 809 of file MapBuilder.cc. Definition at line 436 of file MapBuilder.cc. Definition at line 429 of file MapBuilder.cc. Definition at line 1279 of file MapBuilder.cc. Definition at line 393 of file MapBuilder.cc. Definition at line 456 of file MapBuilder.cc. Definition at line 77 of file MapBuilder.h. Definition at line 85 of file MapBuilder.cc. Definition at line 363 of file MapBuilder.cc. Definition at line 1296 of file MapBuilder.cc. Definition at line 1290 of file MapBuilder.cc. Definition at line 80 of file MapBuilder.h. Definition at line 92 of file MapBuilder.h. Definition at line 96 of file MapBuilder.h. Definition at line 88 of file MapBuilder.h. Definition at line 94 of file MapBuilder.h. Definition at line 75 of file MapBuilder.h.